I really had no idea what to expect with Journey to the Centre of the Tardis. On one hand you could surmise that the episode may have something similar to the classic Jules Verne story A Journey to the Center of the Earth, but the trailer looked more like a scary high-tension episode than an action adventure story. I was surprised to see that this particular episode was something of a horror episode, strange in the fact that it comes right after another horror-based episode in Hide. Journey to the Centre of the Tardis is notable for one reason – we get to see the insides of the little blue box that could. We have seen bits and bobs of the Tardis here and there since the very beginnings of the show, but never have we seen this much of the ship. Even the classic Invasion of Time pales in comparison in terms of Tardis touring. The question is: Was it any good? I will start out by saying that this episode is one of those that really improves with repeat viewings. For the basis of this review, I watched it twice and liked it a bit more after the initial viewing. You can surmise that I had some problems with the episode if I said “it improves”, and I definitely did. I didn’t hate it, in fact I thought it was pretty good, but it could have been a lot better for reasons I will soon explain. I think my main complaint is that the nature of time travel concepts and cause and effect found within is very chaotic, and to be honest came across as messy. I will not say that it was as incomprehensible as a story like Ghost Light, in which fans have notoriously elevated to being “good” because “complexity” means “smart” but it has its problems. 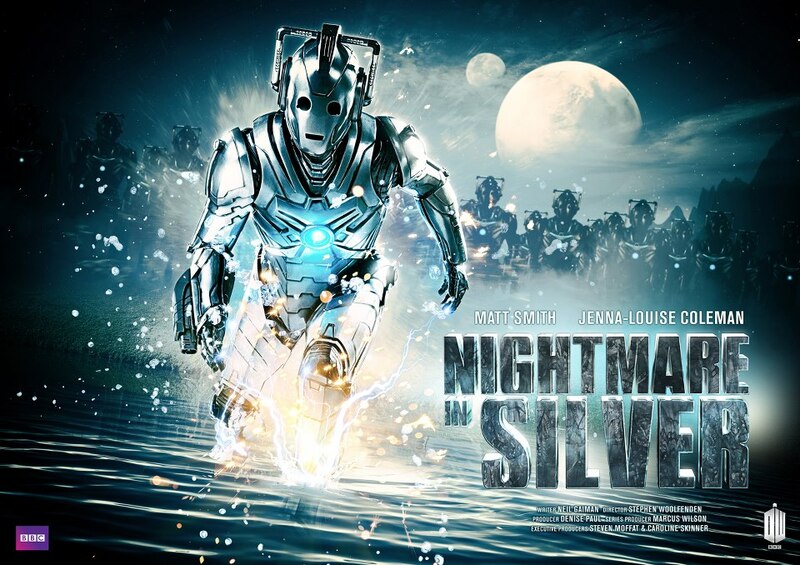 The story follows The Doctor and Clara as they come across a large salvage ship piloted by three expert salvagers called The Van Baalens (played by Ashley Walters and Mark Oliver) and their “android” named Tricky (played by Jahvell Hall). 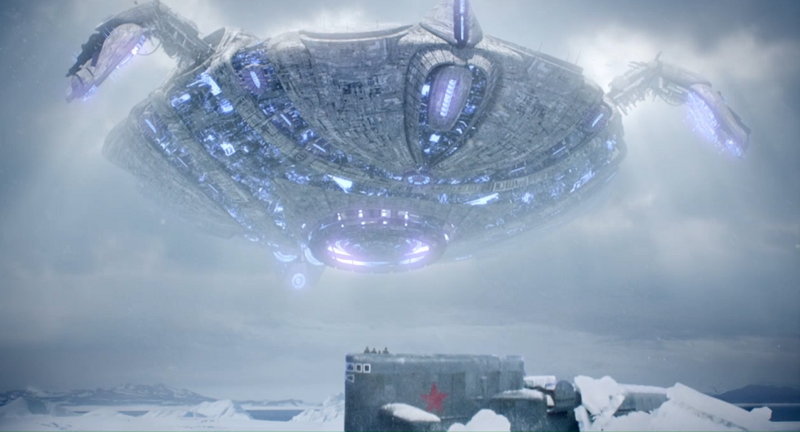 This salvage crew captures the Tardis with a powerful magnetic beam wreaking havoc on its internal systems as a result. Not only is she leaking fuel, but the Tardis looks so unsafe that the salvage crew decides to eject it back into space. The Doctor has apparently escaped the ship unscathed and is pretty mad at the salvage crew; it seems that Clara is still trapped somewhere inside. The Van Baalens were a bit hard to pin down. I love the concept of these three guys traveling around and listening to The Cult whilst gobbling up bits of wrecked ships. Too bad that the characters were pretty unlikable; I know that they weren’t necessarily “good guys” but their decision making skills were horrid (don’t take that part of the ship, the Tardis will try to kill you – takes piece anyway). 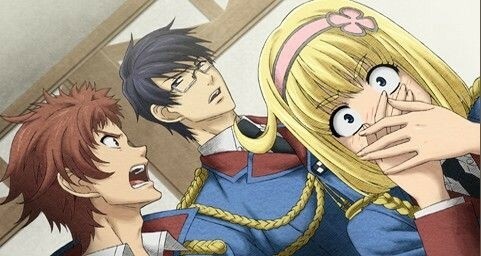 I also was not a fan of the fact that the two older brothers somehow brainwashed their younger brother (Tricky) into believing that he was an android servant for the simple thrill of bullying him. With character traits like this it’s really hard to feel bad when one of them dies, since he was a jerk anyway. The Doctor tricks them into going inside, and fakes a self-destruct system to force the Van Baalens into helping him save Clara, and generally comes across as a bit unhinged, even more so than usual! The rest of the episode is basically everyone running around in various corridors and rooms trying to elude the Tradis’s self-preservation systems and make it to her core. Time starts to unravel, and everyone starts seeing weird things like future and past echoes of themselves as well as terrifying radiation zombies with glowing red eyes. These creatures were pretty creepy for the same reason that “The Crooked Man” last week was – you never get a good look at one of them. Until it is explained as to the nature of these beings is, you usually see the shape of one, with eyes ablaze, surrounded by a haze of obscuring “waves”. They had me on the edge of my seat trying to figure out what these things could have been. I honestly was wondering if he wasn’t housing scarred up refugees from Gallifrey or something, but the real answer was almost as creepy. 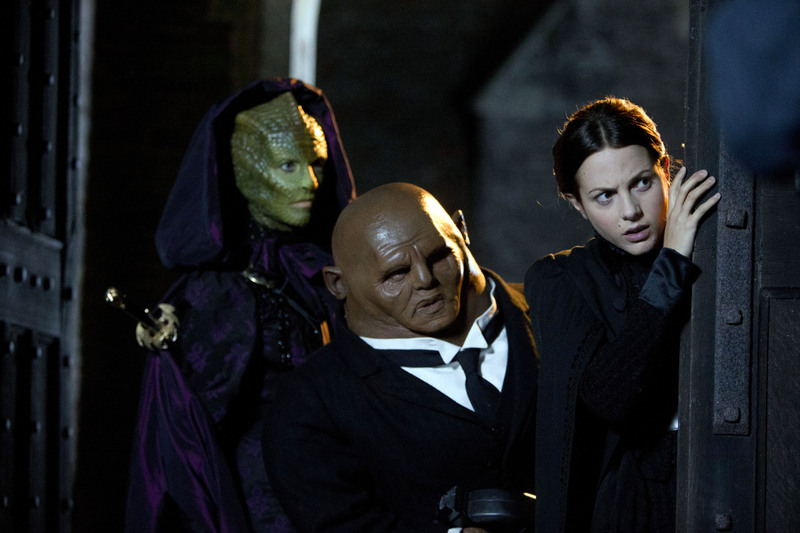 It seems these were future versions of Clara and the Van Baalens disfigured and driven mad by the energy from the Eye of Harmony, a possible future that is adverted with a stupid plot device. What really bugged me about this episode was that it involved a “reset button”, and we’re not talking about a figurative one for the purpose of storytelling – an honest to God big red reset button. This trope usually drives me crazy when it’s used this way, and not since the ending of Superman the Movie has it been used in such a silly manner. We saw it at the end of season three to undo The Master’s massacre of the human race, and I hated it then as well. The “reset button” concept is something Russel T. Davies used to employ a lot, I wish it would have stayed with him and not crept into these newer episodes. I did enjoy the fact that we got to see things like Clara reading a huge book about the Time War (where she may have seen The Doctor’s name!) and the Eye of Harmony. Little nods to the past such as these usually lead me to “nerding out” even though it reeks of fan service. The special effects for the various Tardis rooms (especially the Eye of Harmony and the Heart) were awesome, and really gives a sense of how massive the whole ship can be. Things like this really helped an episode that could have been pretty mediocre into something special despite its flaws. Did I love Journey to the Centre of the Tardis? Well, no. The episode was well done from an atmosphere and effects standpoint, but failed a bit with the writing. I’ve loved each episode this half-season so far and having one that “isn’t quite there” is pretty typical (sort of like Curse of the Black Spot), at least this was pretty solid and not terrible. Had they stayed away from things like a giant red reset button, I may have even loved this episode as well. So on a scale of one to ten, with 10 being “woo hoo” and one being “aaargh!” I’d say this one was a “meh” (I should use that as an official rating system…lol). Next week we have Diana Rigg and the Paternoster Gang to look forward to, so can’t wait till Sataurday! While many Doctor Who episodes are a little bit scary (what else would make all those kids hide behind their sofas? ), strict horror-based one are kind of hit or miss. Sometimes you have episodes like The Unquiet Dead that really hits the ball out of the park when it comes to atmosphere and scares, and unfortunately there are episodes like Fear Her. I think that a lot of this comes down to the fact that we will NEVER see a ghost story or monster story where the creature in question is really a paranormal entity, thus making the viewer question it the whole time. It’s kind of like watching an M. Night Shyamalan film; on one hand it’s usually sort of creepy, but on the other one becomes preoccupied with the upcoming “twist ending”. You may be assuming that I’m about to bash Hide based on the above sentiment, that’s where you are wrong – I loved it. 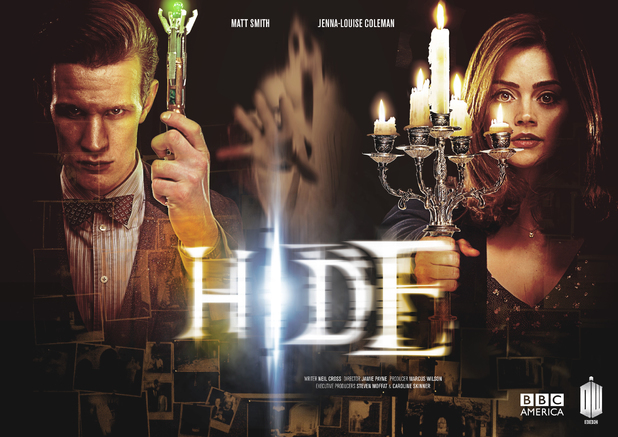 Hide take’s everything you thought you knew about these kinds of stories and turns them on their heads. It’s a dark and stormy night, and there seems to be a paranormal investigation going on in a large haunted mansion. Our two co-stars for the evening are a psychic named Emma Grayling (as played by Jessica Raine, soon to be Verity Lambert in the upcoming Doctor Who historical drama) and Professor Alec Palmer (played by Dougray Scott, known for Mission Impossible II and the recent Day of the Triffids films) as they try to find out the secret behind “The Witch of the Well”. It seems that the Caliburn mansion has been plagued by reports of a horrible spectre for hundreds of years, and since this is 1974, our ghost hunters are using all the latest gizmos to find it. Emma and Palmer are soon joined by The Doctor and Clara, who seem to be there on purpose for once exclaiming “we’re the Ghost Busters!” instead of the usual scenario of not knowing where they are. 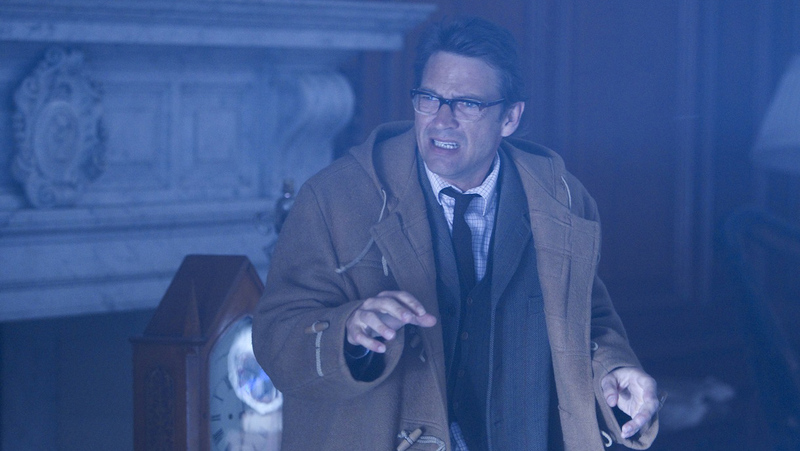 Dougray Scott is one of those actors that I am not really all that familiar with aside from a handful of film and TV roles, but always delivers with his acting. After seeing him in Day of the Triffids and this I can definitely say that he would make an awesome Bernard Quatermass if that franchise ever gets off the ground again. 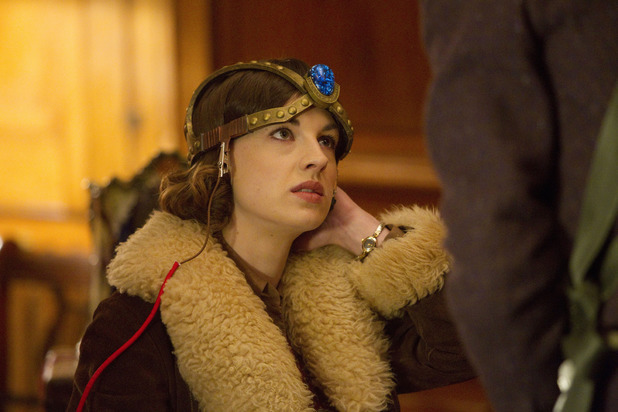 Sadly I cannot say that I am at all familiar with the previous work of Jessica Raine, but she did a fine job here. I’m looking forward to spotting her in the aforementioned historical drama An Adventure in Space and Time, soon to be hitting our airwaves this November. For the most part, Hide reminds me a LOT of some of the older Big Finish audio dramas that I’ve listened to. I’m not sure why, but the mixture of decent, plausible science, and the moody atmosphere gave me a bit of a throwback to some of the 2001 Paul McGann audios especially. Notice that I said “science” up there when talking about a ghost story? That’s because this episode does have a twist on the origin of the “ghost”, but the reveal isn’t the usual Scooby Doo-esque “it looks like this ghost was really an alien!” Instead we are presented with a cool idea: The Doctor realized that “The Witch of the Well” never moves in ANY picture that is taken of it, so he decides to find out if this could be a fixed point in time. 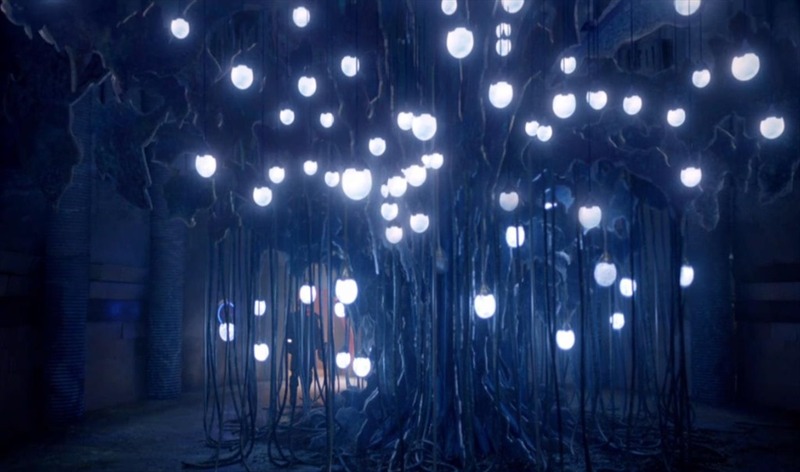 He and Clara board the Tardis and take snapshots throughout the lifespan of the Earth looking for the ghast. Sure enough, it’s there, but it’s not what he expected. It seems that the “ghost” is actually an ill-fated time traveler named Hila Tukurian (played by Kemi-Bo Jacobs), who disappeared after a time flight. Hila has been caught in what The Doctor explains as a “pocket dimension” where thousands of years in our time are mere moments there. This is the reason for the seemingly static shots of the ghost, as Hila is actually running for her life from an unseen enemy. So if Hila isn’t the “villain” of the episode, who is? It seems the unnamed “crooked man” briefly spotted in the final picture is the culprit, and The Doctor must save Hila from him. This “crooked man” is pretty unnerving and harkens back to movies like The Ring. When we do see him, he crawls around in an unnatural manner, his twisted face grimacing in anguish. But the crooked man has a reason for his actions, and it’s not because he’s evil – he’s in love! Yeah, yeah, I know what you’re saying “love saves the day AGAIN! ?” The Doctor beat the peg dolls and Cybermen with love last year, and this year he defeated the parasite sun-god of Ahkaten with it as well. Well, this is different. It seems that “The Crooked Man” is angry because his mate is trapped in the “real world” behind a door that The Doctor closes. The Doctor has unwittingly doomed him to the very death that was once going to be Hila’s fate. In a silly twist The Doctor flies in to save the beast, in one of the oddest endings that we’ve ever witnessed as viewers. 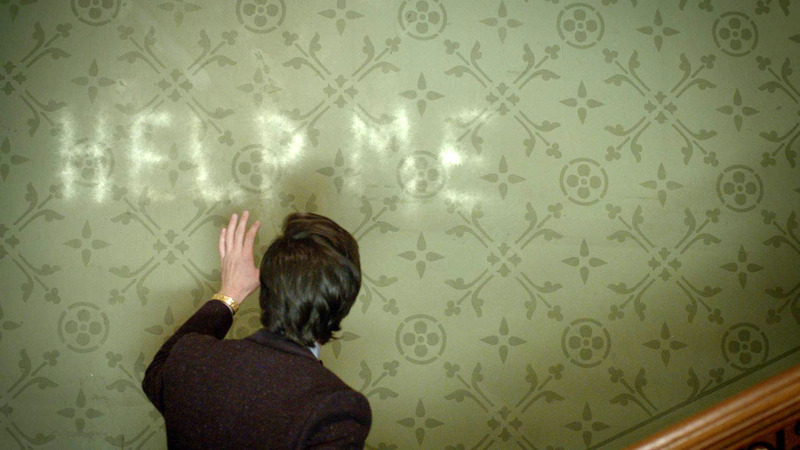 Some people have complained that this ending was either “out of the blue” or “tacked on”, but I liked it because the Doctor would never let an innocent die if he could save them, no matter how ugly they are. If anything was bad about this episode, I think that Hila was not a very well-developed character. Granted, she is the focus for around three-quarters of the whole episode, but just stands there like furniture once she is safe. I almost wish that this episode was a two-parter with the haunting storyline reserved for episode one, and the time travels bits in episode two. Maybe in this arrangement, characters like Hila could have stood out more, but what we do have is more than sufficient. 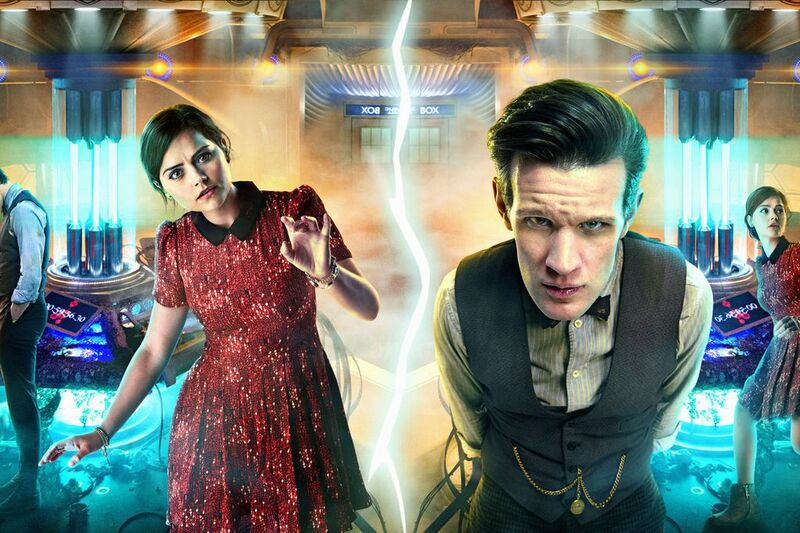 My favorite bit of this episode was probably the interaction between The Doctor and Clara regarding her mystery. We are starting to see more and more that they really don’t trust each other at all, a fact that was hammered home no less than twice. In the first instance Clara stayed in the Tardis while The Doctor took tons of pictures to see if he could figure out if the ghost was a fixed point in time. We see a montage of sorts involving rapidly changing times from the dawn of the Earth to the very end. 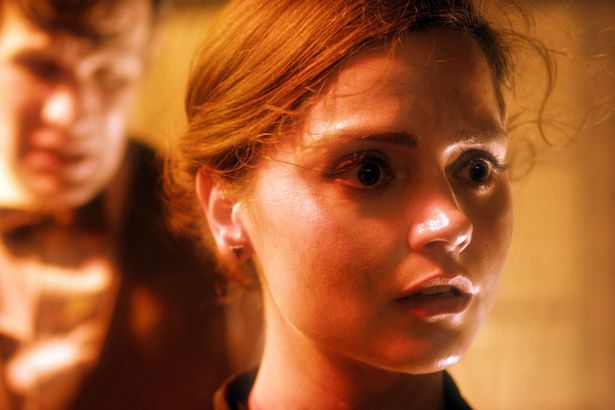 This disturbs Clara as The Doctor seems totally unaffected by what they just saw, but she just saw her entire existence pass before her eyes. This makes her realize that The Doctor is not like her and must see all humans as mere ghosts. The second instance is actually the entire reason that this episode happened. 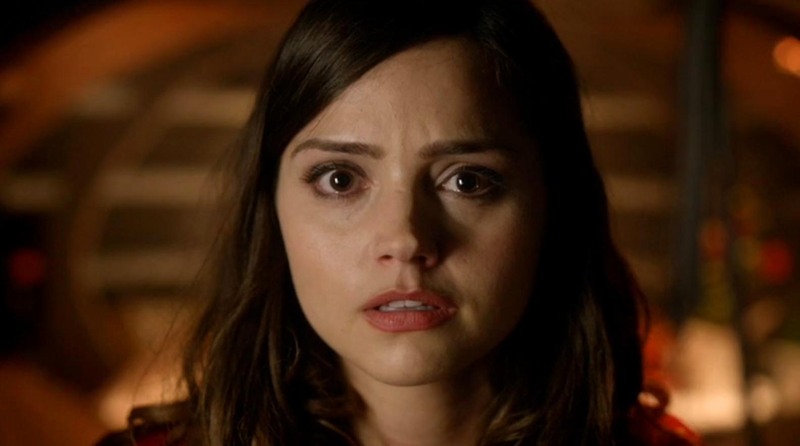 It seems that The Doctor tried to find Emma to ask about Clara, noting her strong abilities as an empath. When Emma remarks that “she is a normal girl” this sets him off, she must be a trap or something! 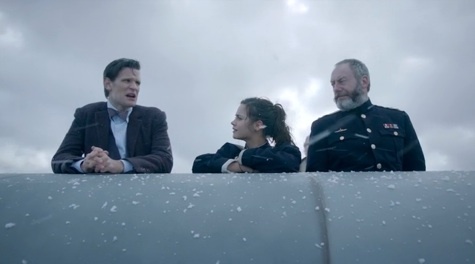 Clara also asked Emma about The Doctor where she found out that he has a “ sliver of ice in his heart”; seems like he is still the Dark, brooding Doctor from The Snowmen, and Clara might be the only thing keeping him going. All in all, Hide was a fine episode, I’ve enjoyed this season a lot despite the fact that a bunch of other fans seem to be having trouble with it. The intelligent nature of the unorthodox plotting by Neil Cross is a breath of fresh air from the tendency to do “Doctor Who by numbers” that many writers fall victim to. I know some writers want to please the fans at every turn, but taking chances like this is the only way the show can keep going and staying fresh. Cross was the man behind The Rings of Akhaten as well, another unorthodox episode that I enjoyed. 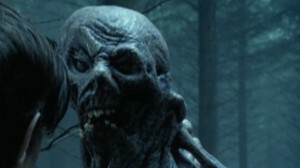 “The Crooked Man” was a creepy “villain” proving that less can be more sometimes. He wasn’t as ambiguous as the antagonists in Midnight or Silence in the Library, but he came across just as terrifying. 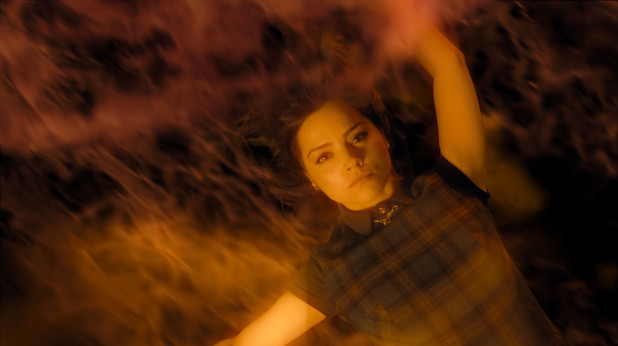 Next week we have a Journey to the Center of the Tardis to look forward to, and it looks like all hell breaks loose in the relationship between Clara and the Doctor. After The Rings of Akhaten puzzled fans with what is quite possibly the most unconventional (and divisive) episode of modern Doctor Who, this time we have something so conventional it feels almost retro! 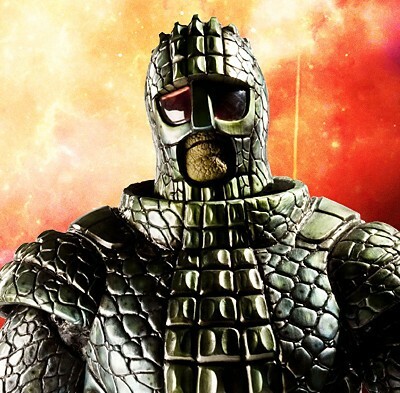 This is definitely helped by the fact that a returning villain, The Ice Warriors, make their modern era debut in Cold War, and with a make-over to boot. The recipe for tonight’s episode is easy: just take one part classic “base under siege” template, add it to one part Ridley Scott’s Alien then mix it all in a bowl of Hunt for Red October. 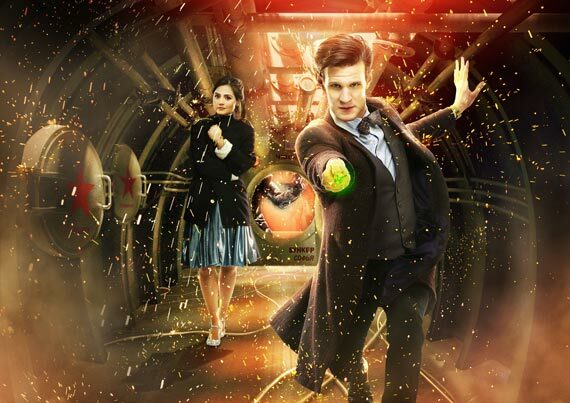 The story follows The Doctor and Clara stumbling in on a Cold War era Soviet submarine at the height of tensions with the U.S. The crew is taking part in a routine test to see if they have the testicular fortitude available to nuke everything if the call was ever made to start a nuclear war. It seems that the crew has taken a bit of “extra cargo” in the form of a huge ice block with a presumed mammoth inside. Of course, this isn’t the case, and we have a loose Ice Warrior running around. His name is Grand Marshall Skaldak, and the poor guy thinks that he is the last of his people. In fact, he is utterly devastated that his family, including his daughter, aged to dust by the passage of almost five thousand years in his icy tomb. When faced with losses of that sort combined with his militaristic nature means that he may just cause a nuclear incident because he has nothing to lose. First things first, I’d like to discuss the changes made to the ice warrior costume itself. The new costume, as we see with Grand Marshall Skaldak, is a vast improvement on the older suits, without losing the iconic look of the classic series version. Really the only BIG change was the hands, and let’s be honest, most people are happy that they lost their robot claws/Lego guy hands in favor of three-fingered Ninja Turtle-like ones. The problem I always had with the 1960’s iterations are that they looked so much like a guy in an overdone fiberglass and fur suit that I was expecting Godzilla to fight them off. 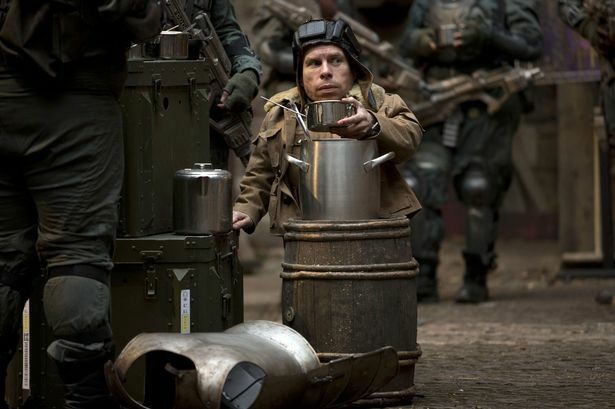 You could tell the actor’s visibility was bad, and the mobility was clunky and slow. The new suits look somehow more maneuverable and more armor-like at the same time despite being obviously made from a less rigid material. As for one controversial aspect of the episode, I quite enjoyed seeing Skaldak outside of his armor. It seems like I am the only one out there, but the effect wasn’t so bad. Yeah I know his face was computer generated, and that folks are averse to any CGI creatures, but the unusual take on them was interesting. I think many people figured that there would be a random make-up faced dude under there, but what we got was more alien. Let’s be honest if it was just somebody with lizard make-up they would have been too similar to the Silurians. Another big plus for me was the guest cast. It was almost refreshing to see a bit of media based on Russian soldiers to escape the almost propaganda-esque portrayal found in most shows. Instead of a crew of militant Stalinists hell-bent on the decimation of the United States, we have a level-headed crew of guys that look like they’d be fun to hang out with. The inclusion of veteran actor (and former audio-only Doctor Who actor) David Warner as professor Grisenko especially stood out. I’m not sure if it was the adorable grandfatherly wacko-vibe (the one that made me love Wilf so much in season 4) or his love for new wave music that I enjoyed so much, but Warner delivered the goods. I’m one of probably four people who have yet to watch the blockbuster show Game of Thrones, but I hear Liam Cunningham is quite good in it. I’m not familiar with him much aside from smaller roles, but if his stint as Captain Zhukov is any indication, he is pretty good. On a side note while we are discussing the ship’s crew: That the guy that originally released the Ice Warrior from the block of ice was comically inept to such a hilarious degree, I’m amazed that he didn’t inadvertently kill the entire crew long before the Doctor even showed up. He causes the whole catastrophe simply because he couldn’t wait to see the mammoth they found, and took a blowtorch to it like a naughty child on Christmas Eve peeking at their presents. The way the whole episode was put together was very good. 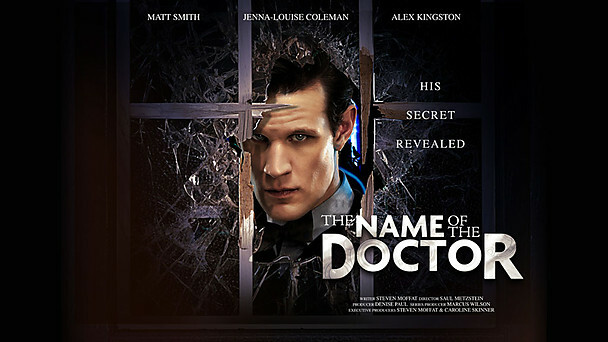 I really enjoyed the script, which is amazing since it was penned by Mark Gatiss. I’m no Gatiss hater by any stretch of the imagination, but he has had troubles for some reason or another doing solid scripts for the new series. I loved The Unquiet Dead, but was let down in most of his other episodes. 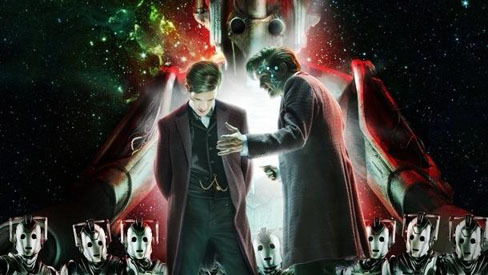 Cold War contained his old-school sensibility and his attention to historical detail very well, and unlike Victory of the Daleks, it didn’t fall apart in the end. 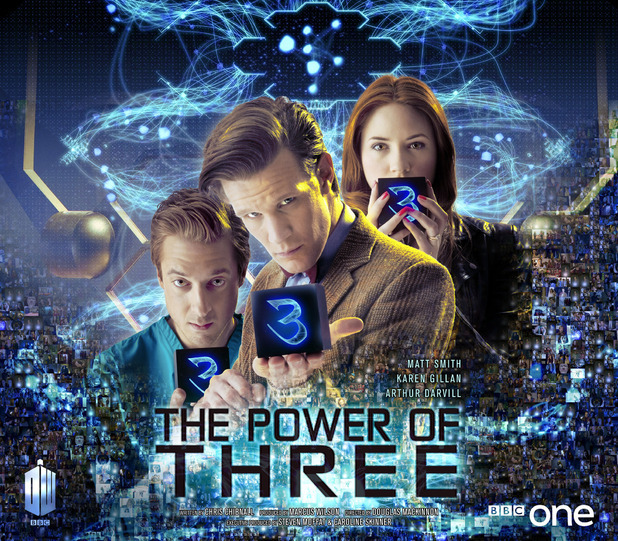 The direction was very well done as well and retained the cinematic feel that Douglas McKinnon got so right in The Power of Three. The claustrophobic feel of all the steamy, drippy submarine corridors and the attention to shadows and darkness gave this episode a nice nod to the Ridley Scott Film Alien. Cold War is quite possibly the best episode this half of the season so far. Keeping the tense mood and claustrophobic vibe ramped up to eleven was great, as it really helped the “mini-film” nature pop out. 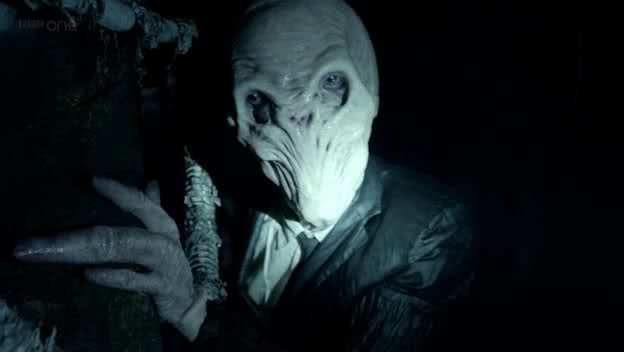 Skaldak is a great adversary for the Doctor, and I really hope we see him again at some point. 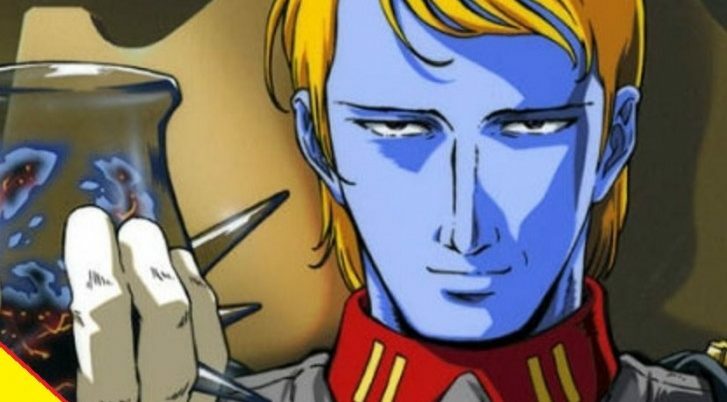 His honor code mixed with his refreshingly real emotions and motives are a nice change for a show usually populated with villains that are evil for the sake of being evil. You really feel for the guy, even though he decides to handle his predicament pretty poorly, but honor wins out in the end. He honestly reminds me of Klingon characters throughout the many Star Trek shows. While they are usually the antagonists of any given story, rarely are they doing any action solely based on bad intentions alone. That’s what makes them so iconic in that universe, and I hope this carries over to Doctor Who. Move over Sontarans, I think the show has rediscovered its resident “Klingons”. In closing, I really hope that professor Grisenko is still alive in the modern Doctor Who world and is enjoying the recently re-united Ultravox; hopefully he never gave up hope after they broke up around the same time as the fall of the Soviet Union! 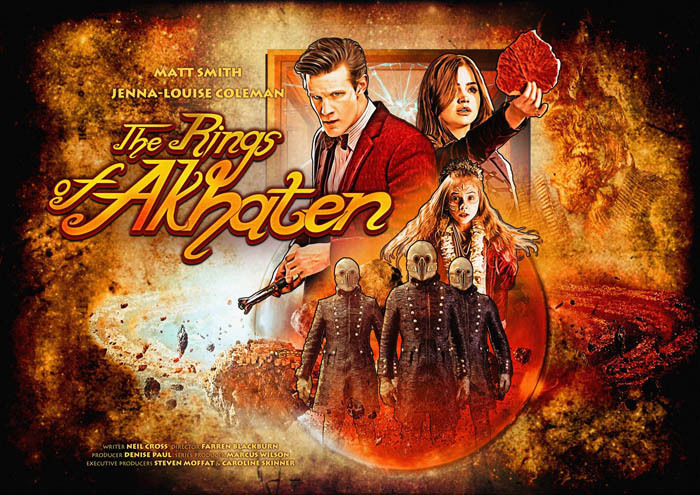 Doctor Who: The Rings of Akhaten is an odd Doctor Who episode. 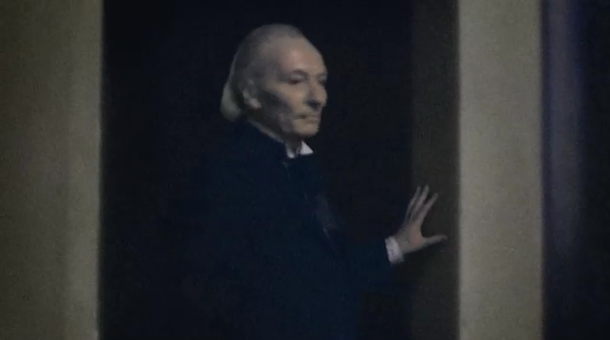 In the first seconds, the show treats us to The Doctor essentially stalking Clara through time. We can assume that he has become completely obsessed with her mystery at this point, especially when he utters the quote that I started this review out with. Most notable of these events, he witnesses her parent’s first meeting a.k.a the origin of that leaf that she keeps tucked away in her journal – a plot point we saw last episode. Back in the 1980’s Clara’s father nearly died when he was struck in the face by a huge leaf in a gust of wind. This freak accident of nature nearly caused him to be hit by a car had it not been for Clara’s mother jumping to the rescue. Aside from the tear-jerking prologue, the episode seemed eerily reminiscent of another second outing for a companion – The Beast Below. 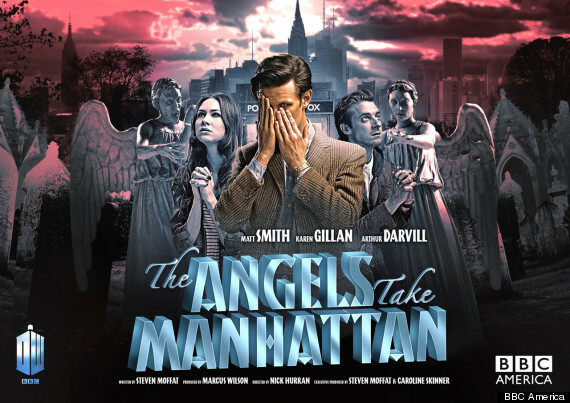 I was willing to write it off completely as “fluff” to be quite honest until the final act, a section where we may have witnessed one of Matt Smith’s finest moments for the show. 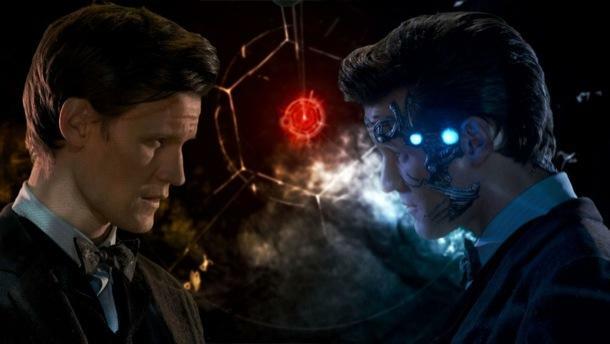 The Dynamic duo of the Doctor and Clara decide to visit the densely populated rock-strewn rings around the planet Akhaten to show Clara some crazy alien races. This scene plays out a bit like the Cantina scene from the original Star Wars film, in that the make-up department got to go crazy and make a TON of one-off aliens. They realize that they need transport around the asteroid bazaar, so they attempt to secure a space moped with hilarious results. Before The Doctor becomes predictably separated from Clara, we find out an important nugget of information – the Akhaten market doesn’t use hard currency but rather trades in items of sentimental value. The Doctor vanishes leaving Clara to get in the middle of a situation involving a runaway queen being stalked by creepy henchmen. This queen is a little girl named Merry, or the “Queen of Years” as she is known by her people, and she is running away from her responsibilities of singing at a ceremony. Clara reassures her that everything will be okay, but doesn’t exactly understand the whole situation. It seems that this planet practices a constant song to keep an ancient evil asleep, and Merry fears that her ruining the song will cause it to wake up. And guess what? It wakes up! 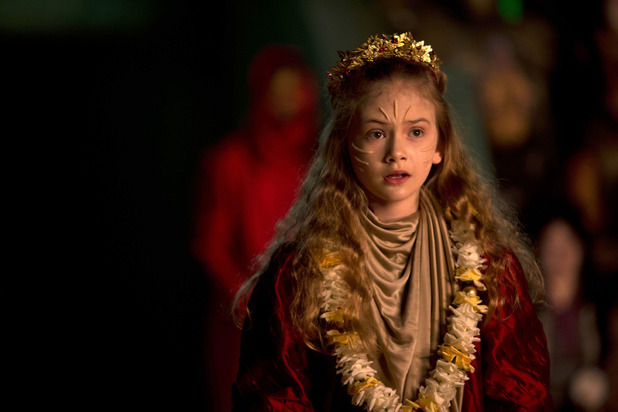 This episode would have been VERY short had the main focus not been the ill-fated ceremony that Merry was so worried about. In an odd turn of events, we get to see the entire “Feast of Offerings”, full of chanting, singing, and kneeling. While this may sound bad to the casual reader, I feel that this saved a somewhat bland episode. This hasn’t been the first time that a heartfelt song has saved an episode in my opinion, as a third season episode called Gridlock hit its climax in a similar manner. The song that was sung was utterly beautiful, and I hope to get it on my iPod as soon as I can. I think I’ll now address my main problem with this episode – “bad guy confusion”. 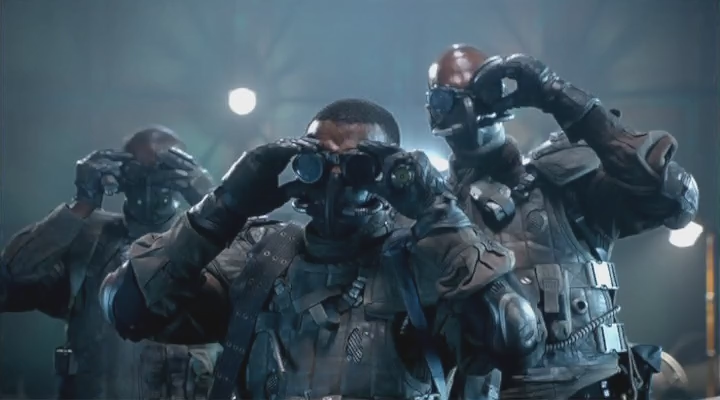 I think the biggest blight of the whole thing is the coolness of the alien guards “The Vigil” and their criminal under-use in the episode. 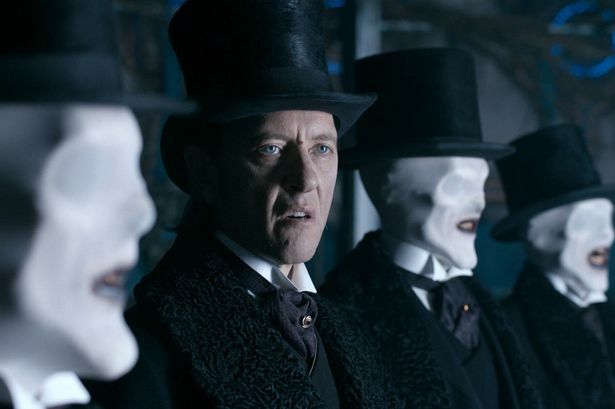 When we first see them, they are hunting Merry through dark corridors using a creepy voice that could stop anyone in their tracks – “MERRY WHEREEEE AREEEE YOOOUUU!” Aside from a few scenes here and there, that’s all we get. The monster confusion doesn’t end there as we have a mummified sleeping monster that we assume is the “big bad” only to have it revealed that he is simply some sort of overseer to the real villain. To be honest I wasn’t sure of the relationship between the two creatures myself. Maybe we can think of “old beef jerky alien” as one of the “Heralds of Galactus” from Marvel comics, as the real villain is of a similar scale – the actual sun of the planet system. Come to find out these people have been blindly sacrificing folks to the “parasite sun god” for a while, only to have The Doctor take a stand and stop the bloodshed. “Okay then. That’s what I’ll do. I’ll tell you a story. Can you hear them? All these people who lived in terror of you and your judgement. All these people whose ancestors devoted themselves, SACRIFICED themselves, to you! …can you hear them singing? Oh, you like to think you’re a God. But you’re not a God; you’re just a parasite. Eat now, with jealousy and envy and longing for the lives of others, you FEED on them, on the memory of love and loss and birth and death and joy and SORROW! All in all, I liked this episode, but for some unorthodox reasons based on my own religious faith and my taste in music. The actual ending where Clara killed the monster with her leaf was a bit “Deus Ex Machina” in my opinion, but that’s nothing new in genre television. The actual script didn’t really have a lot of content to be honest, and it was far too similar to earlier episodes for my tastes. 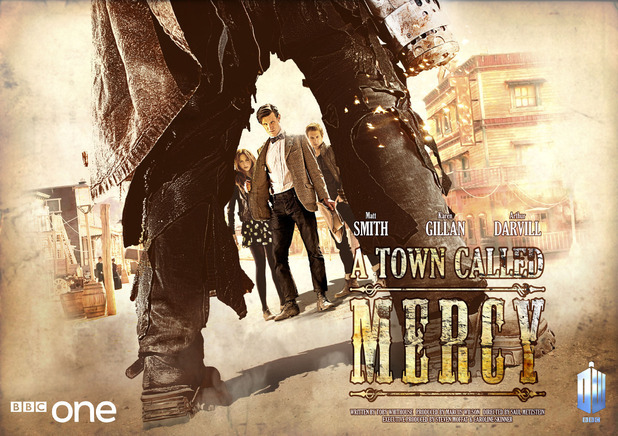 This was of course saved by the special effects, the casting, the music, and the acting by Jenna and Matt. Next week is an episode that could be a contender for my most anticipated episode this year –Cold War! The most important leaf in the universe! It’s that time of year again! 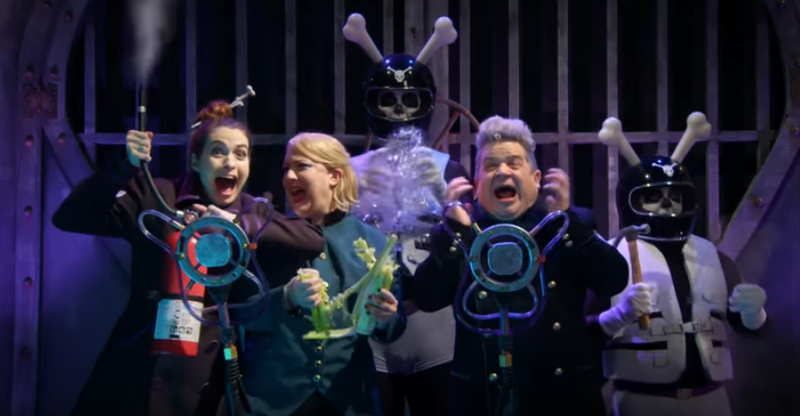 With the turkey-filled memories of a Christmas long gone fading from my mind, and the pitter patter of Easter bunny footsteps upon the grass outside my apartment, there can only be one explanation – New episodes of Doctor Who to watch! 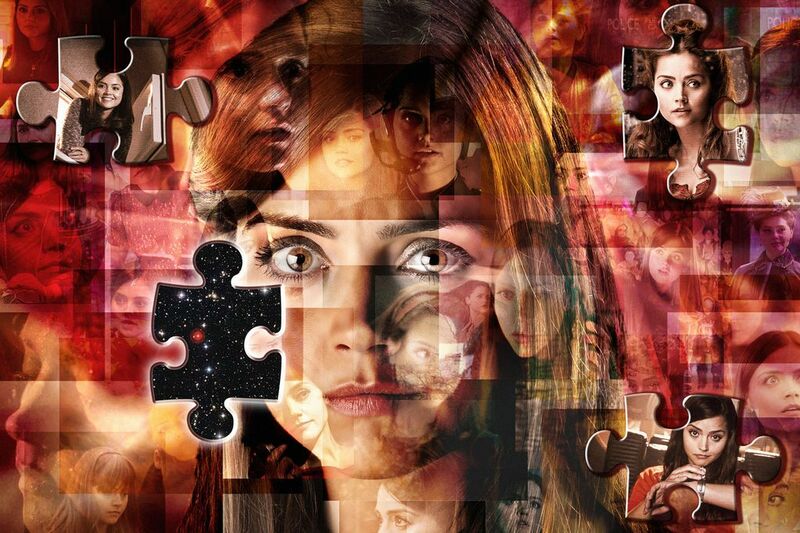 I have been pretty excited for this half-season as the previous two episodes starring Jenna-Louise Coleman have been spot on. 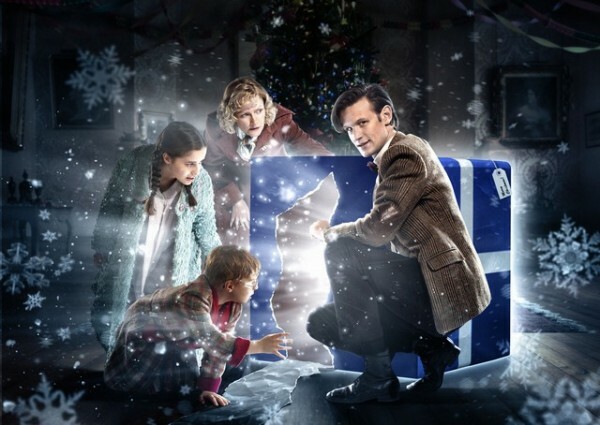 Asylum of the Daleks was easily my favorite episode in the first half of this season, and the last Christmas special, The Snowmen, was easily my favorite Christmas special of the lot. I’m not sure if it can be chalked up to Steven Moffat’s writing or the fact that something just “clicks” with Jenna as Clara. The Bells of St. John is an episode that really breaks no new ground. At its heart, one could honestly chalk it up as being a retread of an earlier Russell T. Davies penned episode Partners in Crime. 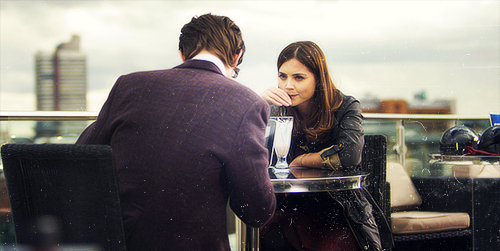 Both featured the Doctor meeting a companion that he had met once before, both had a somewhat ineffectual villain, and both were set in contemporary London. The difference is that, unlike “Bells”, Partners in Time suffered from being seen as a “romp” episode, a sometimes pejorative term applied to fluffy one-off episodes that have no real substance. I think the main difference here is that this episode is more of a character piece, a slow burn if you will. 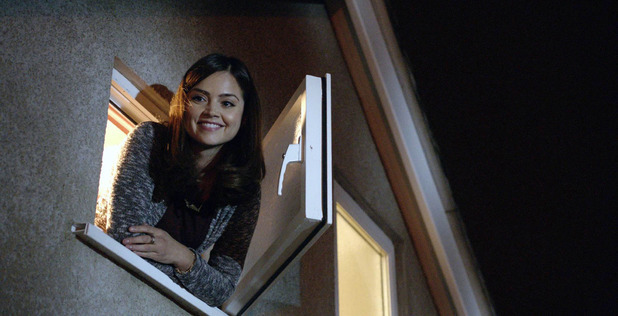 There isn’t just a ton of running around and shouting, but the foundation to the unraveling mystery of Clara. Who is she? Why has she shown up in different time periods? Why doesn’t she remember the Doctor if her timeline is linear? 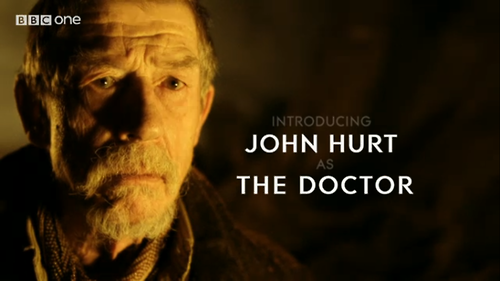 When we last saw the Doctor in The Snowmen, he was a broken man. He had just lost the two most important people in his life and he wanted be alone and unbothered. 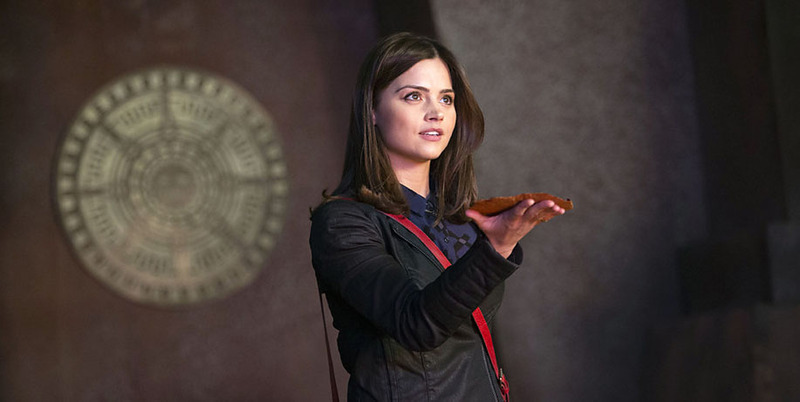 With his heart hardening in a similar manner to how he appeared in the very first episode nearly 50 years ago, it took Clara’s appearance to give him new purpose. The task of unraveling her mystery and protecting her. This episode opens with the Doctor in quiet contemplation in a Cumbrian monastery. It seems that he has spent a Loooong time (Long enough that legends have built up around him, wait I thought he didn’t want that!) pondering those very same aforementioned questions. 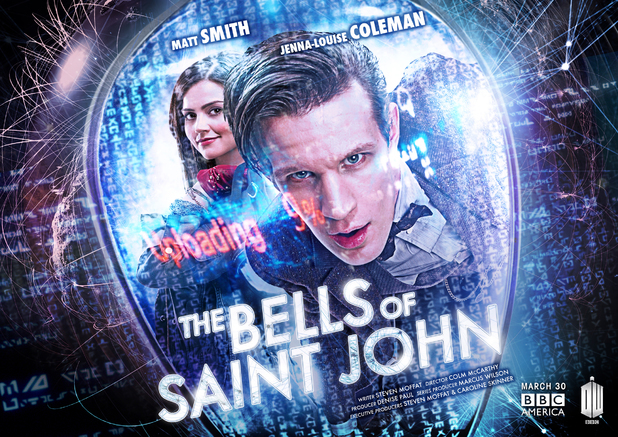 We are alerted to the fact that the “Bells of Saint John” are ringing, a clever way to describe the phone on his Tardis ringing, you know the same Tardis that has a “St. John’s ambulance” sticker on it. On the other end is coincidentally Clara asking for tech support to log onto the internet. 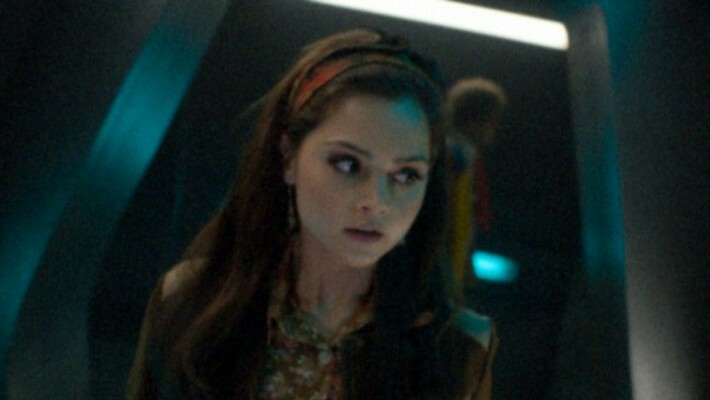 It seems that “some lady” gave Clara his number if she ever needed help. Curiouser, and Curiouser…. Long story short: The Doctor finds Clara and they fight off a threat by a group housed in a newer London landmark called “The Shard”. This villain is only heard in voice for the majority of the episode, and is known simply as “The Client” by the group of renegade IT professionals it employs. They send out their robotic “Spoonheads” as walking Wi-Fi waypoints and wreak havoc. Their plan has a very Idiot Lantern vibe to it, but instead of feeding on TV viewers, the client wants to digitize human souls and use them as slaves and presumably food. In a shocking twist we find out that the villain is actually none other than The Great Intelligence, a classic villain that we last saw at Christmas time as played by Richard E. Grant. While I know I will be crucified by all the David Tennant fans out there, but I think Matt Smith is slowly becoming my favorite Doctor. To me, he is on the verge of almost “perfecting” the role of the Doctor; just the right amount of darkness, wit, curiosity and even intelligence. He honestly reminds me of a weird conglomeration of the traits found in the Tom Baker and Patrick Troughton Doctors – both favorites of mine. Doctor Who: The Bells of St. John was a solid, if not somewhat low-key episode. Both Smith and Coleman have done a great job with their respective characters carrying an episode that was not hinged on spectacle like most season openers. If this episode, and the trailer for the other upcoming episodes, is any indication of the season’s quality; I feel that this season will be great. While the novelty of having a title such as X on a(n) X (ex: Snakes on a Plane) would have been more topical in 2006, it does show exactly what we are getting here: a fun “romp” episode that doesn’t take itself seriously at all. With how serious and well-layered the previous episode was, this stands as a stark counter-balance to Asylum of the Daleks with all the “in your face” zaniness that is usually reserved for comedy episodes. I know a lot of fans dislike episodes like this, but I generally like them. As you will see, there is a dark edge here as well, not just fluff. The plot centers on an unidentified spacecraft that is found to be hurling towards earth, this of course freaks out many Earth-based agencies including the Indian Space Agency. 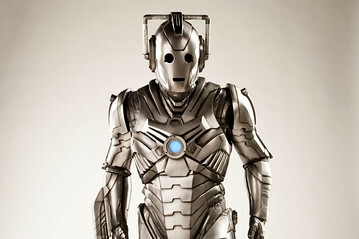 The Doctor is enlisted by the ISA to “take care of it” so that they can stop any sort of crisis with it crashing. The Doctor needs a “Gang” to check it out, so who better to enlist than the legendary Queen Nefertiti, a big game hunter named Riddell, and “the Ponds”. They find out that the ship is an ancient Silurian “ark” full of dinosaurs, and fun ensues. This episode is notable for introducing a new character – Rory’s father, as played by Mark Williams of Harry potter fame. Brian (Rory’s dad) is sucked into the whole situation completely accidentally, and the first truly humorous scene involves The Doctor’s reaction to his presence. When the Doctor picks up “The Ponds” Brian is helping Rory fix a light bulb just as the Tardis shows up and materialized around all three of them. The Doctor does not in fact notice Brian until way later when they are leaving the Tardis. He assumes some random person walked into the Tardis. It’s never explained how the two don’t seem to have ever met despite the zany antics The Doctor was up to at Amy and Rory’s wedding, but I guess he could have been absent. In The Big Bang, we clearly meet Amy’s parents, but Rory’s family appears to be his siblings or something. I guess it’s a mystery we will never know the answer to! Another Harry Potter Alumni takes the stage as the villain of the piece – David Bradley as Solomon. 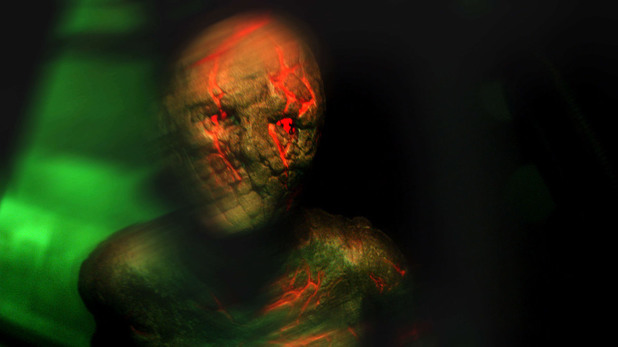 As with many Doctor Who villains, Solomon is initially not the antagonist of the piece, but reveals himself in the third act. 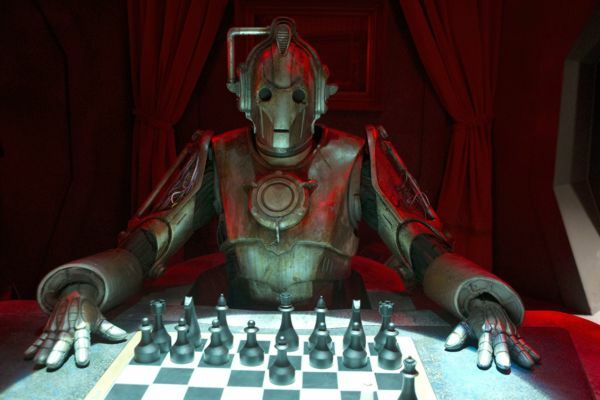 His initial story is that the problems are all related to the fact that his legs have been mauled by raptors and his “Tweedle Dee and Tweedle Dum” of the robot world (as played by the double act –Mitchell & Webb) have been insufficient in helping him out. Once we realize that he wants to capture “Neffy” for his collection we learn the real truth. 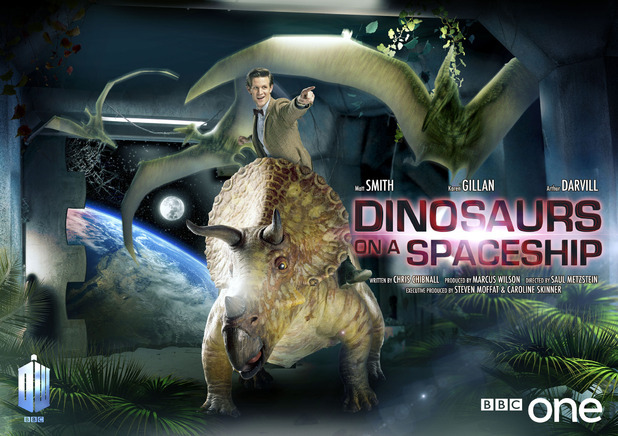 Solomon is basically a space pirate and has killed all the Silurians on board and a lot of the dinosaurs. He was trying to figure out a way to monetize the dinos before the accident happened, just as the “Gang” shows up. What happens next has divided fans of the show, but is not without precedent. The Doctor, realizing how truly evil Solomon is, sets it up so that Solomon is killed by a slew of missiles launched by the ISA. He doesn’t give him a second chance or anything; he basically says “your dead!” and leaves him to his fate. Many internet fans flipped out because of this, partially because many were lead to see the Doctor as a pacifist “space Jesus” up through the first few seasons, but having this view is a mistake. I could list a number of times where the Doctor essentially murders people, but there is no more telling instance than the very first serial of the show. At one point The Doctor, as played by William Hartnell, has to be stopped from smashing a caveman’s skull in with a huge rock simply because he “was slowing them down”. The doctor has a dark side, and being away from companions makes him like this. Hopefully this is a theme further explored! All in all, I really liked this episode. It isn’t the most intellectual stimulating episode out there, but it’s a fun episode none-the-less. It was great to see some of Rory’s family in a little bit of detail, and Brian was a great character. He was not as cool as Wilf when it comes to family members of companions, but not many are as awesome as that guy! Chris Chibnall has done some mediocre work on Doctor Who in the past, but this episode was pretty good. Maybe fans can look forward to his second episode this season after all! If there is one thing that the Daleks have been for the past 50 years, it’s inconsistent. Sometimes Daleks are intelligent, other times they are simply idiotic. Sometimes they are evil, other times they are comical. And the most important: sometimes they are scary, other times they are lame. Despite my fondness for them firmly placing them above any other Doctor Who villain, it really depends on who the writer is on how these guys are used. Episodes like 2005’s Dalek are instant classics in the minds of many fans, while others such as Daleks In Manhattan come off as camp as a sequined cape. I was surprised to realize that this was showrunner Steven Moffat’s first real foray into these armored squid guys, and for the most part he really nailed it. If anything, he has found that a way to make a monster scary again is to wound it, or drive it crazy. The headless Cyberman armor in The Pandorica Opens is a fine example of this, and in this episode we have an asylum full of the Dalek equivalents. 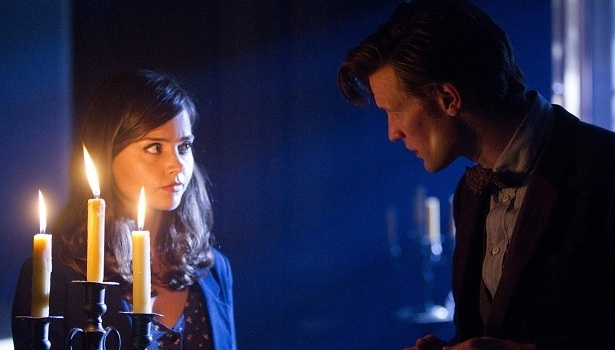 First thing first, I had no idea that Jenna Louise Coleman was going to be in this episode. For the first time in a VERY long time we had an actual surprise that wasn’t ruined by a big UK newspaper or a questionable write-up in a magazine. Her appearance is a two edged sword though, as I really enjoyed her character, but this is probably not the same character that later shows up later on. 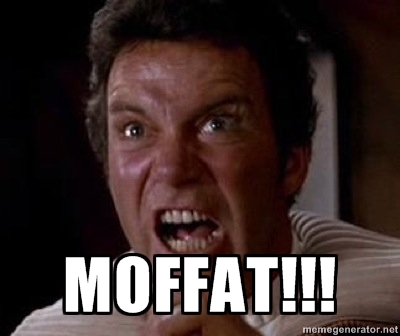 Without outright spoiling my reasons for those that have not seen the episode, let’s just say that if it is her – Moffat will have to unleash the “timey wimey” on the show to achieve this. 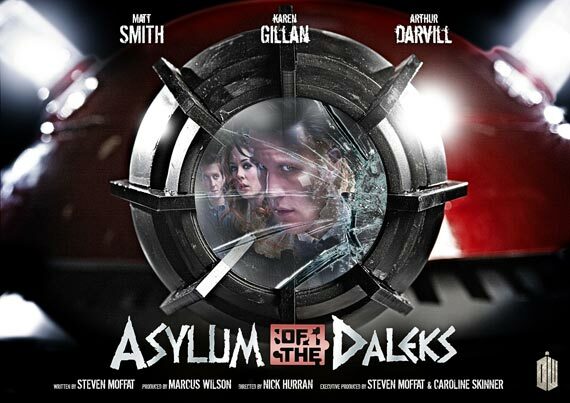 This episode had it all for fans of older Dalek episodes. Returning, is a human slave class lead by the Daleks, minus the stupid speech pattern that the robomen had, or those dumb helmets from the Davison era. We had a glimmer of the many factions within the Dalek Empire including a new “parliament of the Daleks”. While this was a bit Star Wars-esque (galactic senate anyone?) it achieved a reasonable way to have thousands of Daleks in a room at once. Those thousands of Daleks were very impressive, but failed on one regard. The promise of “Every Dalek Ever Made” wasn’t an outright lie, but one had to play “Where’s Waldo” to see most of them. There was a special weapons model, and a 1960’s model in there from what I could see, but they weren’t features quite as prominently as I had hoped. I bet somebody with far too much free time has spotted them all, but I’m too lazy for that. 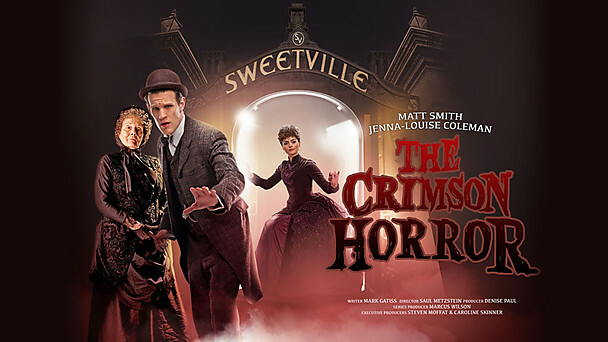 All in all, I really liked this episode; it had everything I like about Moffat scripts: mystery, surprises, horror, and a dash of humor. This season, despite how short it this half is, seems to be more up my alley than the previous Christmas episode, and holds the “blockbuster” status teased in the lead-up.